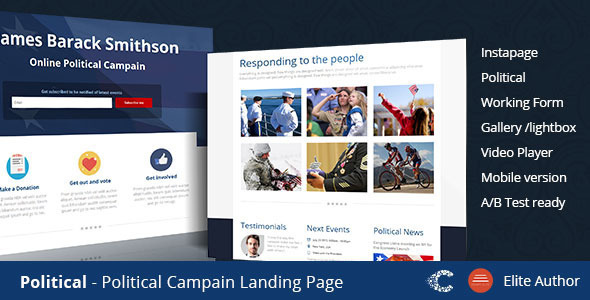 The Politics Instapage template is ready for politics, political parties, action groups, elected officials, etc. It has great American symbols and graphics but it doesn’t mean that they can only be used in the USA. You can easily make the needed changes to the template so that it will work in the country of your project.